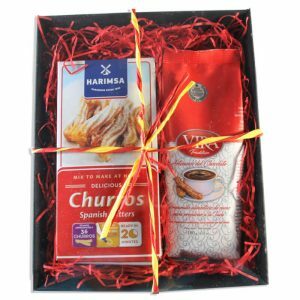 A lovely gift pack for making 'Chocolate con Churros', that traditional Spanish breakfast or mid-morning snack of crisp fried doughnuts dunked into thick hot chocolate! 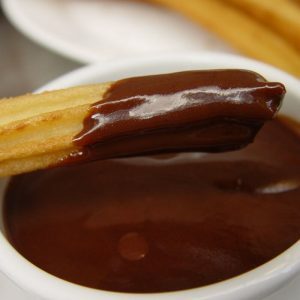 It consists of 500g churro mix (which makes around 36 churros) and one sachet (180g) of our popular rich drinking chocolate powder (which will make upwards of 1 litre of hot chocolate, depending how thick you like it). 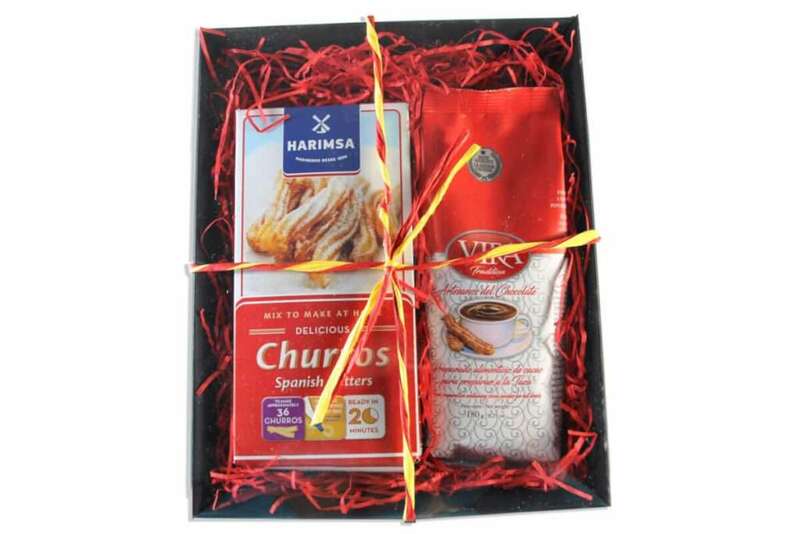 Presented in a black card try with lid, filled with red paper shred and tied with red and yellow raffia - makes a great foodie gift! 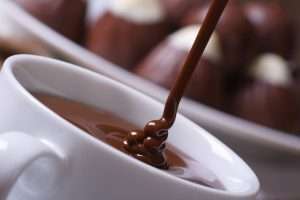 INGREDIENTS: Hot Chocolate: sugar, semi-skimmed cocoa powder, cornflour, natural vanilla flavour. 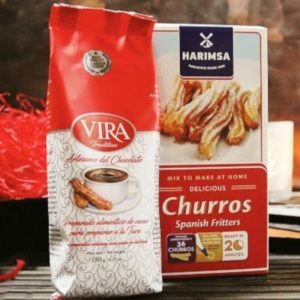 Churro mix: wheat flour, powdered milk, whey protein, dry yeast, thickening agents: E412, E415 and E491. 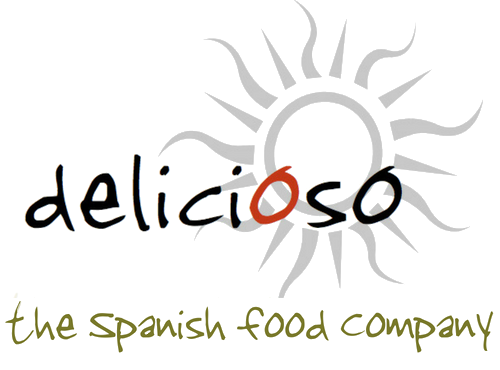 ALLERGENS: Contains wheat and milk.